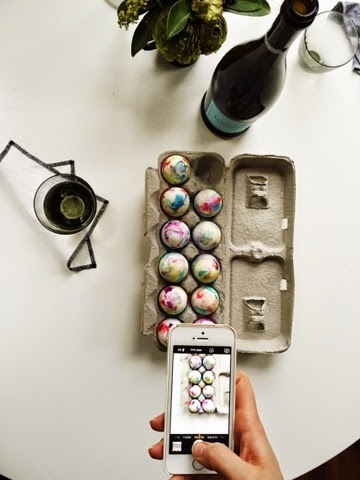 During the week, Chelsea found out through Instagram that I had never dyed an egg. 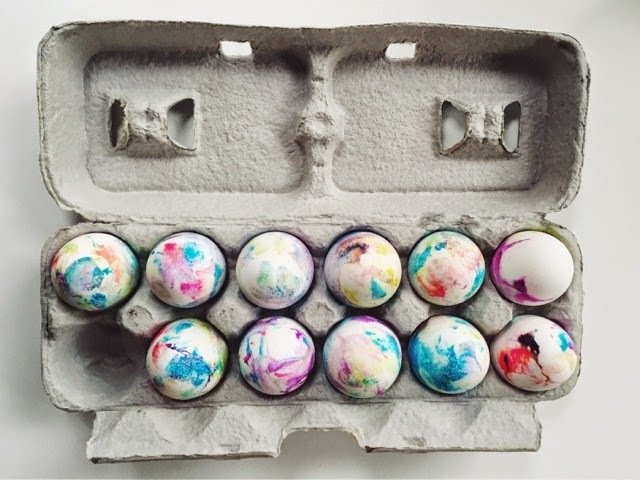 Easter egg dying isn't a tradition in Brazil, so I'm pretty sure most Brazilians live their lives without getting crafty on Easter time. 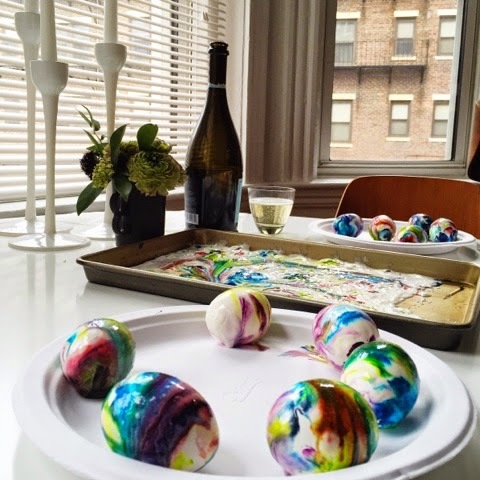 So, yesterday, she invited me over to an egg dying session and ee spent the afternoon sipping prosseco, eating chocolate and dying eggs. I have to say, it was so much fun, I now want to do it every year! 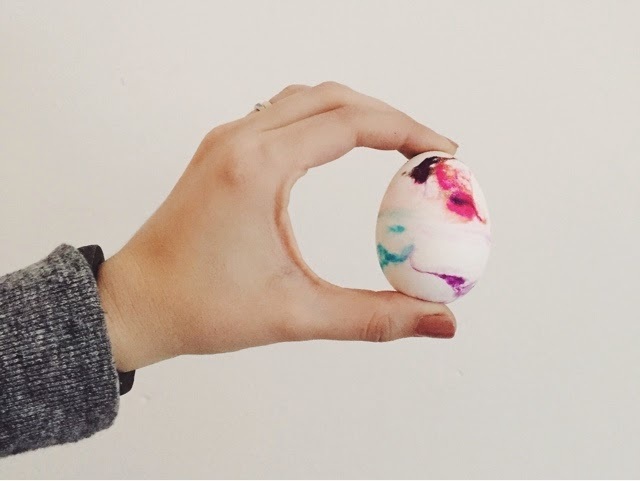 The process for the marbled Easter egg dying is really simple: boil the eggs, give them an ice water bath, soak them on vinegar for a few minutes, pat them dry. 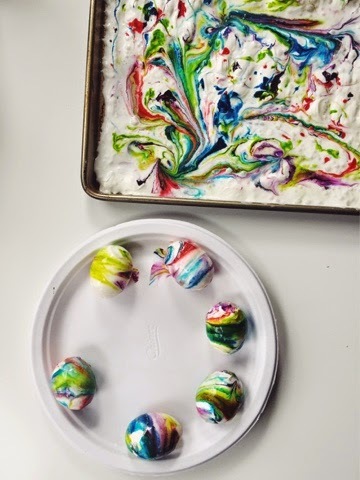 Cover a baking pan with whipped cream and drop food coloring on it. 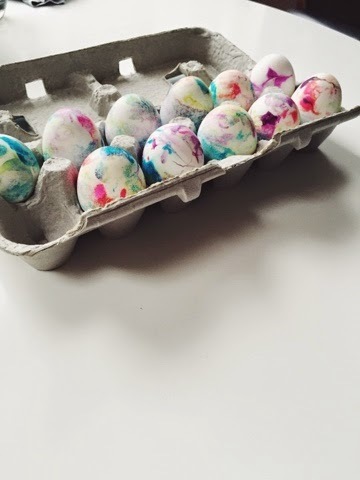 Then, roll the eggs over it and let it dry for about 20 minutes. Rinse the eggs, pat them dry again and you're done! It was the perfect way to bring some color to a gray afternoon. Whipped cream?! I never knew! !